This was a fantastic series because of the pacing of the story, character development, and overall tone. 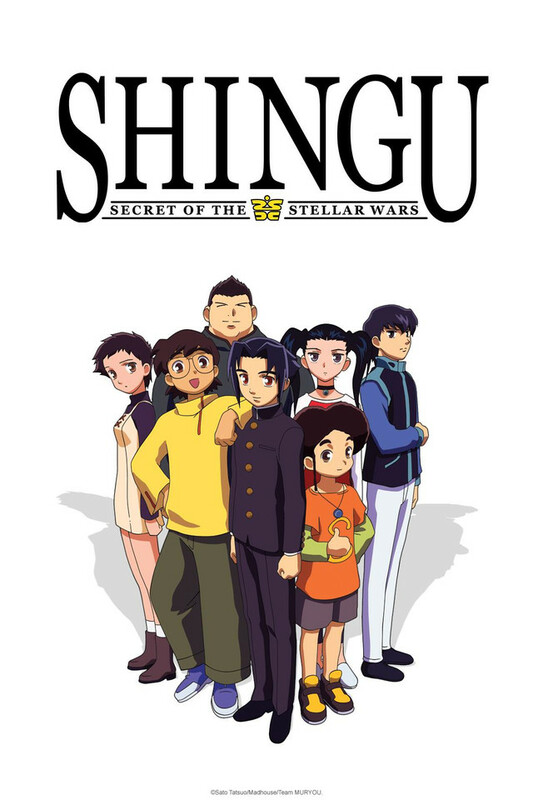 My taste in anime usually skews more toward the action genre however this show kept my attention from start to finish. It really is a good balance of story and action, and the soundtrack really accentuates both. I would highly recommend it!!! Has a very serious tone with world changing events but everybody just takes it at their own pace which makes the world feel more relaxing. A lot of the characters roles are refreshing, the girl is the knight in shining armor and protects the guy, the side character is the strongest one, main character for once is actually your average everyday middle schooler. And the characters don't take forever to admit they like someone. Once you get a better feel for the big picture you can see there's a lot of political agendas going on in the background. Takes place in the present but their technology is far more advanced, a lot of the aliens look like robots, the chosen use telekinetic type abilities. The english version is the better of the two in my opinion. I feel as though the slow pace and mild level of violence displayed throughout the whole thing is to show the other side of life for a hero. It definitely adds a realistic perspective on superheroes. Its not always about fighting, as they are humans too and have lives just like everyone else on Earth. While it mostly consists of the simple life of middle-schoolers, it helps remind you that we are all just human beings. Once you place yourself back in reality as opposed to typical animes, the few fight scenes you'll see become very intense, and emotional. Aside from a simple adolescent life, they are fighting to keep us all from being blown up and for us to continue living simple happy lives. A Hidden Gem with a great blend of action and comedy! A hidden gem that is not talked about that often, but it has a great tone and unique main character. The overall plot may seem very familiar, but it is told from a different point of view, which makes it very refreshing. It is a great blend of action, comedy and a little romance, so you should give it a try. You could watch the first 2-3 episodes and the final 2 and pretty much walk away with what you need to know about the story. All the episodes in between are mostly filler. Sure stuff happens but it doesn't really have any impact on the finale. The characters in the story certainly don't mind what happens. The stakes aren't really known or even felt until the ending. Battles are almost universally one sided. Very little character development. And they completely leave it up in the air who/what Muryou even is. Some might call it sequel bait but with everything else that wasn't fleshed out in the story it felt lazy. Hajime basically goes with the flow the entire series and somehow gets sucked into the middle of this space dorama. He conveniently is there to bring the main heroine back to her senses. Whom likes/loves him for reasons that aren't made totally clear. I mean I get she's a tsundere but there's not really a basis for it. He's an average joe class prez that otherwise doesn't stand out for any reason other than his ability to break the 4th wall and seems to read from the script sometimes. That all said it's not horrible. Just an extremely average slice of life middle school comedy with an ending that makes me wonder why I bothered.